3 Bedroom House For Sale in Bromley for Asking Price £395,000. 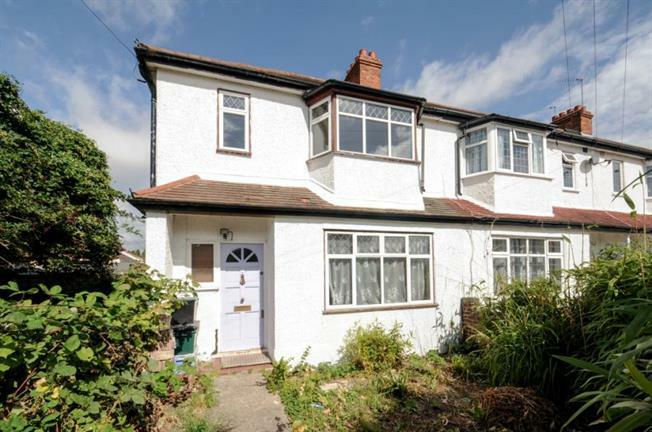 We are delighted to offer for sale this Chain Free three bedroom end terraced house in need of updating and is located close to local schools in Princes plain, Bishop Justice and Ravenswood. The property features two reception rooms and a kitchen to the ground floor. There are two double and a single bedroom to the first floor and a relatively large garden to rear with off road parking to rear. Viewing recommended.